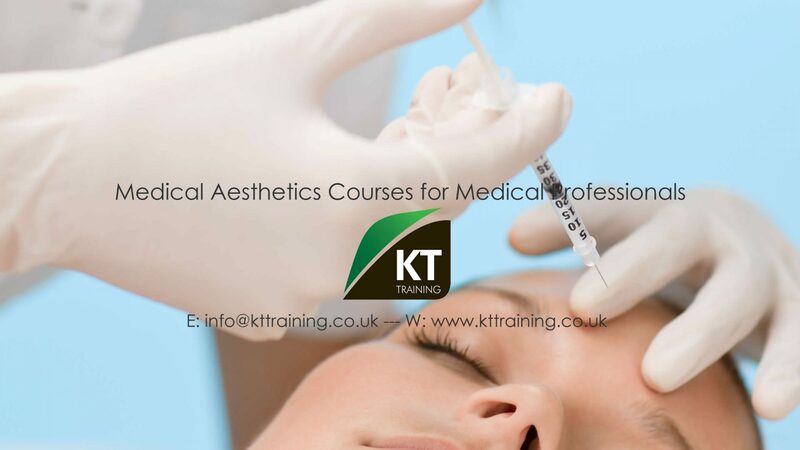 KT Training provide the botox treatments during the foundation and advanced botox training courses. During the foundation botox training courses candidates will learn how to treat the upper face only, therefore we only require patients for the specific treatments covered on this course. Please see the images below for information about the treatments and courses. The Foundation Botox Training Courses require patients who would like the following treatments. The Advanced Botox Course requires patients who need the following. Please note advanced dermal filler treatments are also available on this day. The course is a combined advanced botox and dermal filler training day. Advanced Botox Training Treatments masseter, neck, chin, jawline is £80 per area. Hyperhidrosis under arm is £120. We also cover the masseter reduction with Botox on the advanced course. Please note we are a training company and patients are not accepted for treatments who have medical conditions that may affect the treatments outcome. 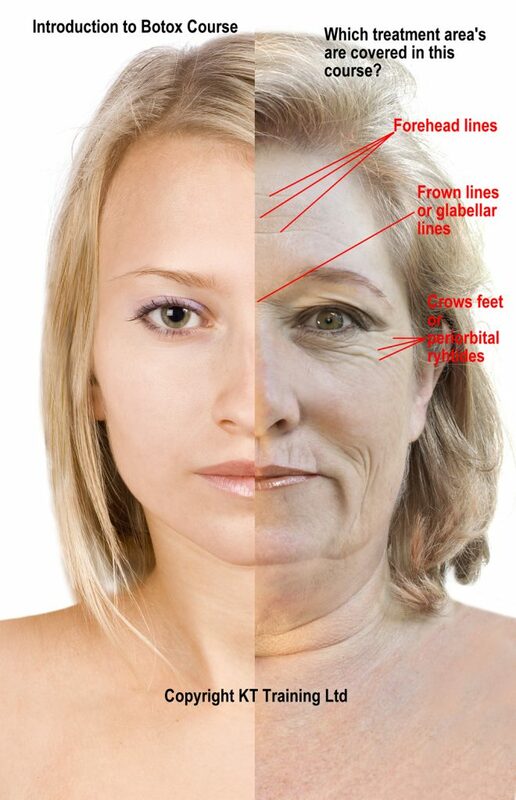 Botox® is a chemical produced by the Clostridium Botulinum bacteria.BOTOX/Vistabel is a protein derivative of the toxin, which, when injected into a muscle causes it to become weakened or inactivated. It stops the muscle from functioning by blocking neuromuscular transmission i.e. stops the chemical messages from the nerve to the muscle. How long has Botox® been used? Clostridium Botulinum has been used safely for over 20 years for the treatment of teret syndrome (continuous squinting of the eye). The product has been used in a variety of other therapeutic applications such as Spasmodic Neck, Writers Cramp, and Cerebral Palsy to name but a few. How is Botox® used for lines and wrinkles? By using facial muscles repeatedly throughout our lifetime, the skin is creased in areas of greatest use. The aging process causes the slow down of collagen and elastin production in the skin, as we get older these areas of over use and the lines become permanent. By reducing movement of muscles in these areas, the skin stops being creased and is allowed to recover causing the lines to soften or even fade away. What happens during the treatment with Botox? The injection process during the course will takes about 30 to 40 minutes. The trainer and students will ask you to use certain muscles of the face to observe how they work. An extremely fine needle is used to inject the toxin into the appropriate area. The injections may cause some swelling and redness, which will resolve itself in 2 to 4 hours. We do try to allocation scheduled appointments for our patients but as this is a training course there may also be a waiting period for the treatment of up to 2 hours. Will I see the result immediate? No the treatment will take effect after 7 to 14 days. The treatment results will usually will last for approximately three to four months on most individual. Side effects of the Botox cosmetic treatment are rare. Occasionally, patients may experience a temporary drooping of the eyelid. This result is very rare and will resolve itself within a few weeks. In extremely rare cases, patients can develop an allergy to the treatment or some patients may not respond to the treatment. General complications associated with injections can also occur. Please review the BOTOX Summary of Product Characteristics to ensure you have do not have any health conditions or contraindications that may affect the treatments. If you do have a caution or contraindication to the treatment you are not suitable for as a model for this treatment. KT Training is not a hospital or clinical facility and does not diagnose illness or provide medication. Consult your health care provider for advice on health matters. please read our disclaimer and review all treatment information before attending as a patient. Refrain from touching the treated area for three to four hours. Remain upright for three to four hours. Do not engage in strenuous exercise, massage or saunas for 24 hours after treatment. Repeatedly tense the treated muscle groups during the three to four hours directly following the treatment, as the toxin works better in active muscles. Always follow botox post treatment instructions directly after your treatment to reduce the chance of complications. Review the model contract for the cosmetic treatments provided on the training courses. To register please complete the form. We do not share or use your data for any other purposes. Please provide your details plus the procedures and areas you would like treated.